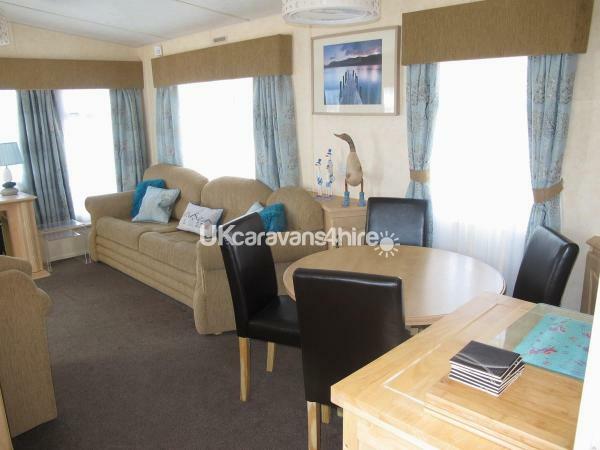 Lovely modern three bedroom (7 berth) caravan located on the Small Grove site in Ingoldmells. 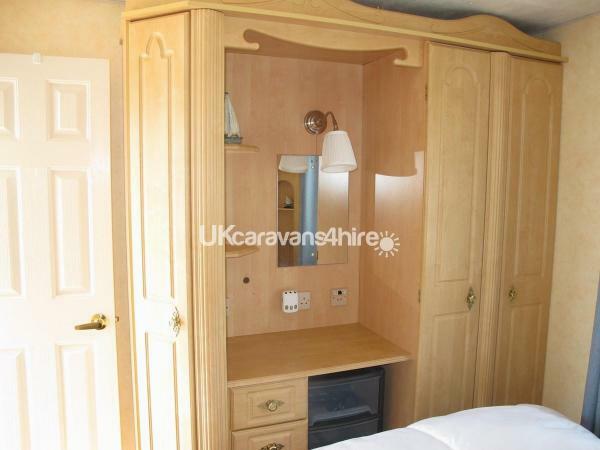 This caravan has all the comforts of home. 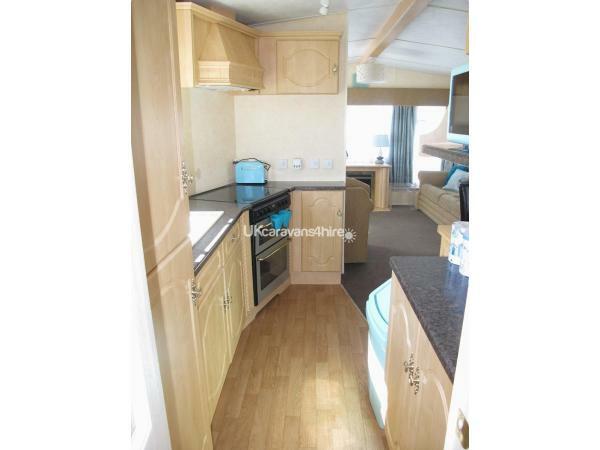 It has central heating and double glazing throughout ensuring that the caravan is always comfortable. 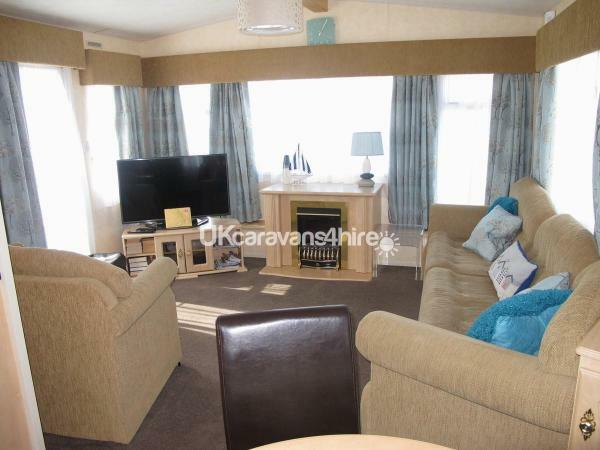 The comfortable living area has one large fitted sofa and a smaller free standing second sofa arranged around the 52" 3D TV ( viewing glasses provided). We also have a PS2 games console and a selection of ps2 games, board games, books and DVDs to keep you entertained. 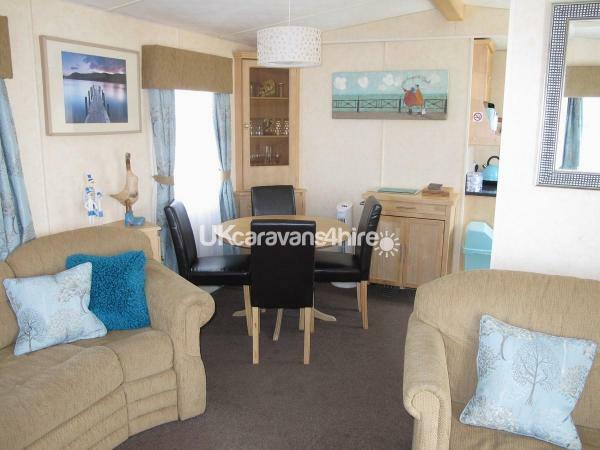 There is a free standing dining table and chairs next to the kitchen which is well equipped with plenty of crockery, cutlery and everything you might need to cook a family meal. There is everything you would expect in a modern kitchen - full size fridge freezer, toaster, iron, microwave, full size oven and hob. 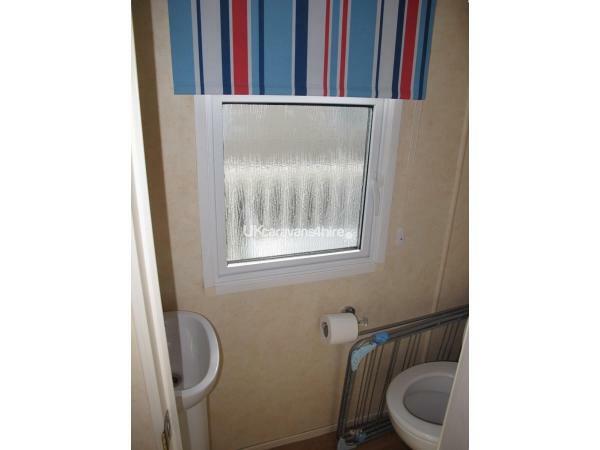 There are two toilets in the caravan - which can be very handy. 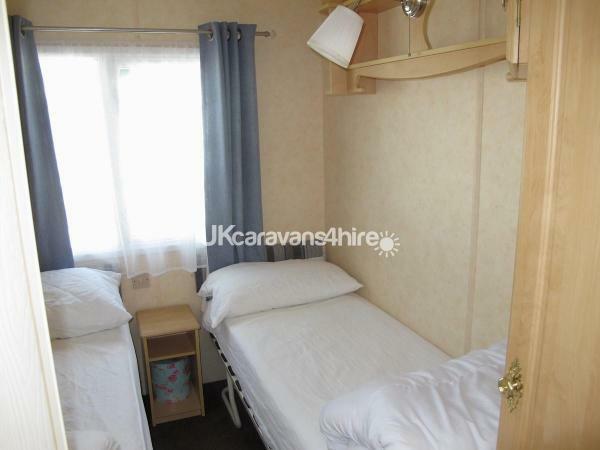 One is in the spacious bathroom which has fitted units and plenty of shelving and the second toilet is in a separate room which has a toilet and sink. 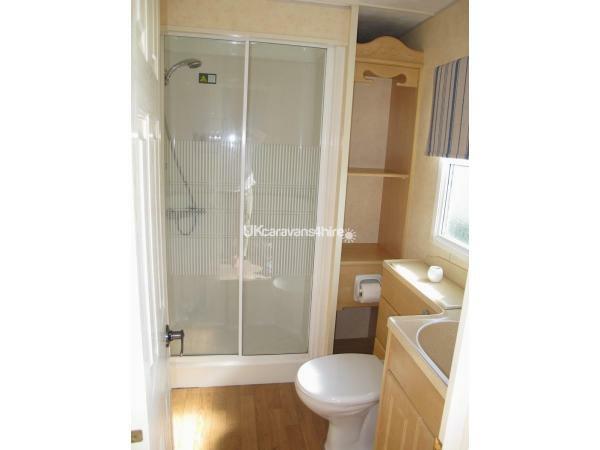 The three bedrooms have plenty of storage. 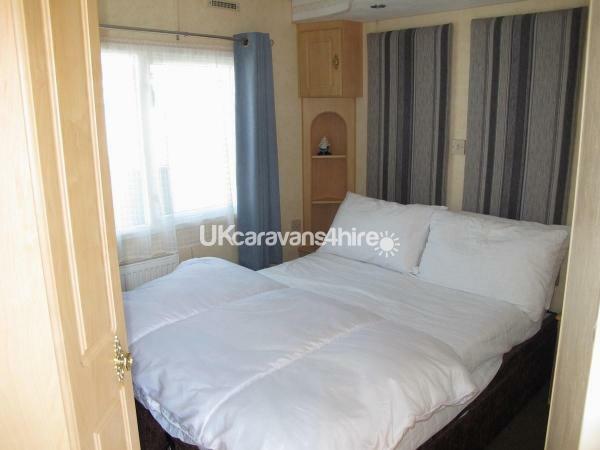 There is the main bedroom which has a double bed. 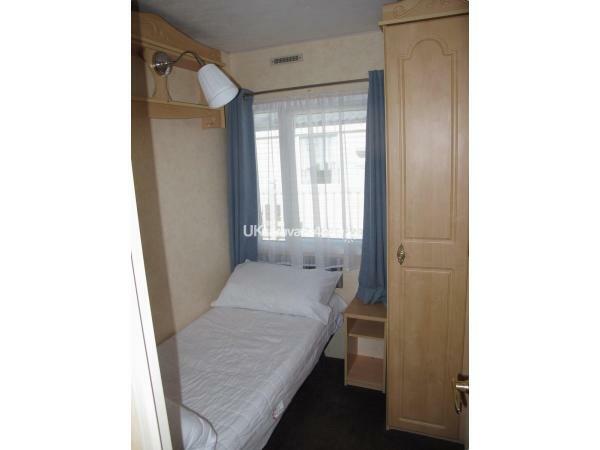 The second bedroom has two single beds and the third bedroom which is a similar size to the second bedroom has just one single bed. 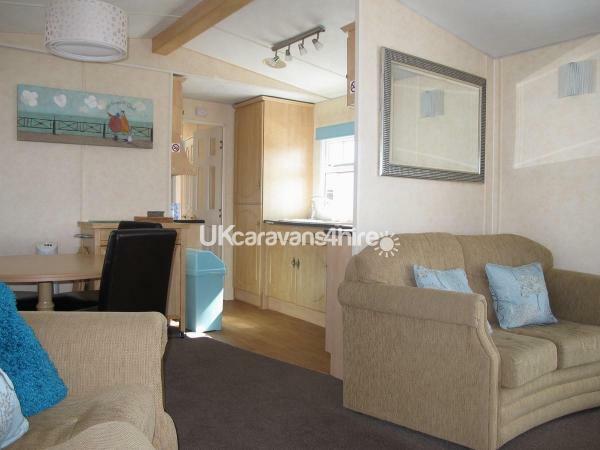 The pull out double sofa bed in the living area means that this caravan can comfortably sleep seven people. 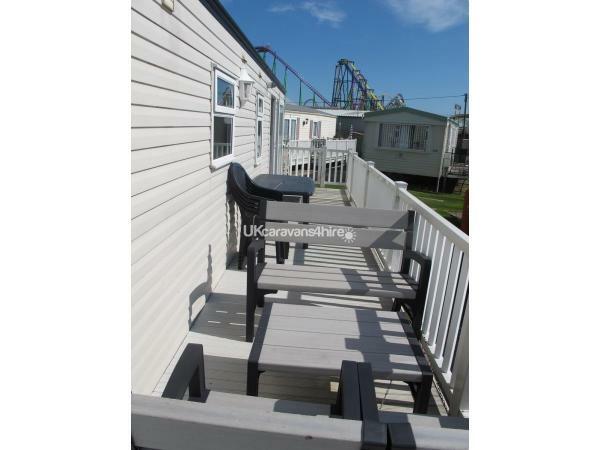 Outside the caravan is a large veranda which runs down the whole length of the caravan. There is plenty of space for seating and coffee table at one end and a large patio table and six chairs at the other end.